Home / Marketing / Social Media / What is Digital and Social Media Marketing? What is Digital and Social Media Marketing? Sometimes it is challenging to underline the difference between social media marketing and digital marketing. Notably, the main difference between social media and digital marketing is that social media is one of the channels used for digital marketing. However, engaging in the different social media platforms like Facebook, Twitter, Instagram, and many others does not mean that one is doing social media marketing. A digital marketing campaign entails a lot. You may not be informed of all the major components of digital marketing. Well, we asked Manchester SEO agency Caffeinated Projects how to keep you on par with the primary digital marketing attributes. Although there are many definitions of digital marketing, it can be defined as the process of promoting a brand by building awareness online. The components of digital marketing can be grouped under internet marketing and non-internet marketing. Internet marketing includes social media, online banner advertising, mobile, SEO, content marketing and Pay Per Click (PPC) advertising. Google Play and Apple Store are examples of mobile marketing while Digital Billboards, SMS, Television, and radio are examples of non-internet digital marketing. Internet and non-internet marketing components exhibit a direct relationship. In the last couple of years, social media marketing has become a buzz. Today, everyone is looking forward to marketing their brands online through social media. The latest statistics show that most individuals are using social media to shop, interact, and socialise. For instance, statistics show that Facebook has more than half a billion daily active users. Ideally, all the platforms that bring people together to interact are called social media. Online social media platforms are ideal places to market your products given that many individuals are visiting such sites daily. The statistics on social media usage are reliable proof. Now, what are the benefits that you get by adopting the social media strategy as your marketing campaign? The following are some of the advantages of social media marketing in online and offline product promotion. The fastest way to market your brand- Thousands of social media users can get information about your product by a single post. For instance, if you have many followers on Twitter or Facebook, you can spread information about your products for free. Compatible with SEO – Search engine optimization and social media marketing are compatible. Google and Bing use social media to rank websites. 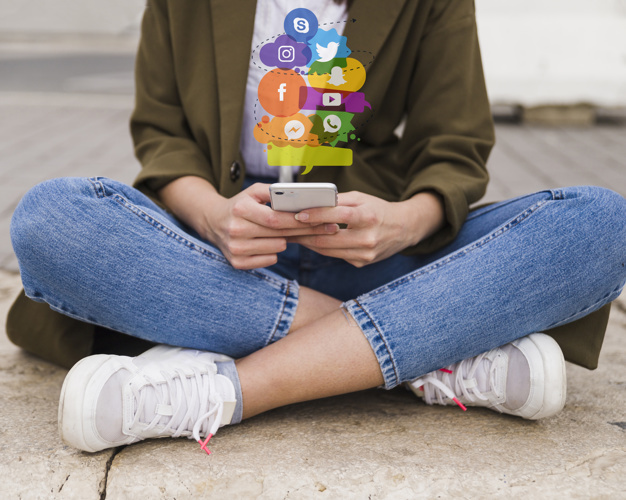 Trendy – to stay put with the latest trends in marketing, and to stay closer to your customers, social media is the right strategy to adopt in marketing. An interaction platform – social media creates platforms for you to interact with your customers and know what they want. Apart from getting immediate feedback from your customers, you can also get reviews on your product. The number of likes on your post may signify how the market is viewing your products. So far, it is evident that social media is the best platform for digital marketing, especially when you look at sites like PuppyGeeks and KissYourSkin that use social media very effectively in their campaigns. While social media is limited to the boundaries of the internet, digital marketing goes beyond the internet and tries to reach people in the off-line world by using social means. While social media strategy may include one or more social media platforms, such as Twitter or Facebook, a digital marketing campaign may include one or more components, such as SMS, Mobile Adverts, and internet advertising. Digital marketing can concentrate particularly on banners or other components, while social media -marketing is strongly associated with a content strategy. Based on the above discussion, we can define social media marketing as the process of promoting a service or a product through various social media platforms. For the success of social media marketing, it is important to adopt the right strategy. There are two ways to achieving this. Building your followers is the first way. By running contests, sharing useful content, and engaging your users in different social media platforms, you can build a wide fan base just like the guys at PBNPilot have very successfully. The second way is paid to advertise. To advertise your product or services on Twitter and Facebook, you can use Facebook ads or Google Adwords. It is worth noting that the success of social media marketing depends on many factors. One needs the help of a qualified digital marketing consultant to choose wisely. Items from the internet marketing family are the major components of digital marketing. To select a more appropriate marketing strategy, you need to be conversant with the various marketing theories. Social media marketing is big in the digital marketing industry. The way we socialize with customers is likely to change given the developments of different social media platforms. Knowing the difference between digital marketing and social media marketing is core in adopting the right campaign strategy.